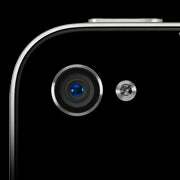 Apple's smartphone darling--the iPhone 4--is fast becoming one of the most popular cameras in the world. This is due in part to the image quality of its camera and to the photo software available for it (including Instagram, a photo filter app that simplifies sharing your photos). Not surprisingly, the iPhone 4 recently ranked as the most popular camera on photo-sharing site Flickr: iPhone users upload almost 80,000 pictures a day there. If you want to take your iPhone photography as far as it can go, here are four interesting camera accessories that can assist you in getting there. Android users suffering from lens envy have a few options of their own. One is the three-pack of specialty lenses from Photojojo, which the retailer promises will work with any camera phone. Here are some accessories that work only with the iPhone. 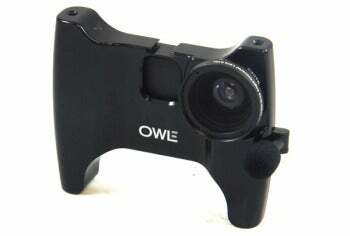 Action Life Media's OWLE Bubo is a solid aluminum iPhone camera mount and stabilizer featuring a two-handed grip, interchangeable 37mm wide-angle macro lens, four tripod mount points, microphone, and accessory mount. The Bubo is available for the iPhone 3G and 3GS ($160), and for the iPhone 4 and iPod Touch 4G ($170). Take 360-degree panoramic video with your iPhone 4 using Kogeto's Dot snap-on accessory lens and Looker, a free companion application that should be available in the iTunes App Store any day now. Dot comes in black, green, pink, or red; it will start shipping in late September for $79. 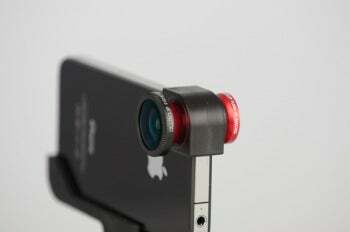 The Olloclip three-in-one camera lens for iPhone 4 features fish-eye, wide-angle, and macro lenses in one small package. The lens system clips snugly onto the side of your handset and is not compatible with protective cases or screen protectors. 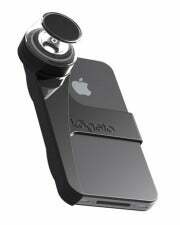 Olloclip comes in black or red for $70. 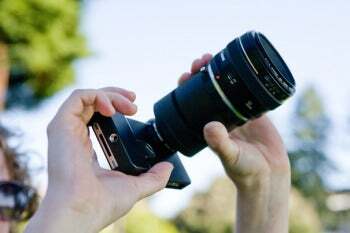 Online photo accessory store, Photojojo offers two mounts that you can use to attach Canon EOS or Nikon SLR lenses to your iPhone 4. Photojojo warns that you may have to make several small adjustments to get the iPhone and your lens in sync when focusing on your subject. The SLR mount is available for $250.